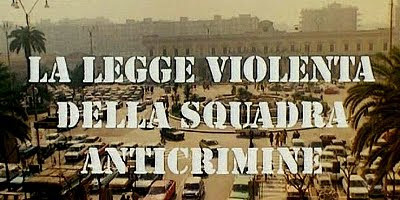 Excruciatingly boring poliziottescho is not even energized by director Stelvio Massi's smash-zooms, while lead John Saxon stomps around in Maurizio Merli's wardrobe to ill effect. Uninteresting storyline isn't helped by the cliche ingredients of the genre: doomed couple trapped in a criminal lifestyle, ruthless cop obesessed with abusing crooks, scowling bad-guys mired in corruption, and the obligatory robbery-gone-bad that climaxes with a dummy smooshed beneath the wheels of a pursuing cop car. So derivative as to be sleep-inducing. Even the sparsely upbeat score is so muddily and nonchalantly placed into scenes, it sounds like a funk band performing from the bottom of a well.